Did you know that if you do not eat within one hour after the end of your workout, you will achieve few or no results? Surely you have heard this on more than one occasion, perhaps so many that you have come to strongly believe that if you do not take the shake 30 minutes after a session of weights you will not be able to take advantage of the great benefits of protein and what is worse, you will surely end up catabolizing more muscle than you could have won. And like this, there are probably many more statements you think are true, but that does not turn out to be more than terrible fallacies. Fallacies that even in spite of the great scientific discoveries, and above all, the easy access to the information that allows us to be aware of them, still we can not eradicate. These statements that are based on speculations and mere beliefs of yesteryear are now known as fitness myths and more to help you in your process of transformation, whether for gaining muscle mass or fat loss, are probably doing the opposite. 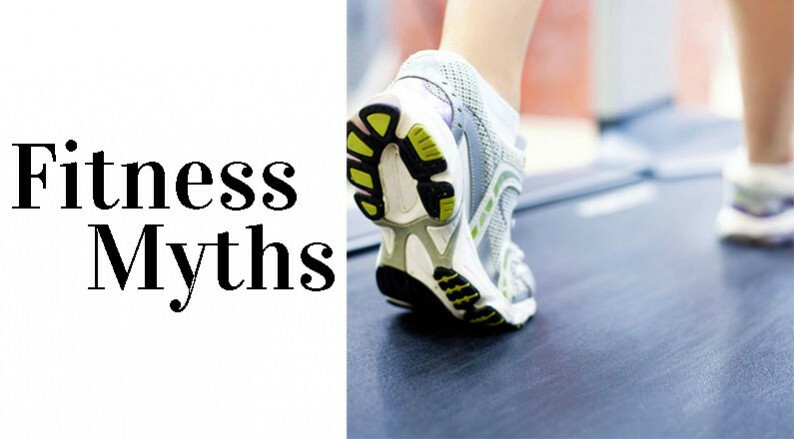 For that reason, we have decided to make a compilation of the 5 most-listened fitness myths that you should avoid at all costs if you really want to achieve your goals in the most optimal and healthy way. This is the first myth most heard in gyms where it is common to see the typical subject of 100 kg of pure muscle with the false belief that if you do not eat your food in time and form, you will not be able to get the results you have achieved. But that’s not all, as some get to ridicule in the ridiculous to the point that can be seen taking the shake in the middle of training not to catabolize. In recent years, science has shown us how wrong these people are, and is that the post-training anabolic window as it is not even known has any reason to be considered as a concept, and is that proteins, which are necessary for the recovery of the muscles after a strenuous work, they take time to be synthesized in a period of time that can go from 36 to 48 hours, which gives us a reasonable time to be able to ingest our post-training foods without running great rush as many people think. It is true that for the gain of muscle mass it is necessary to undergo a high calorie, i.e. that is, to consume more carbohydrates than the body needs, so with that surplus, the body can recover from micro breaks caused by the training and thus make way for muscle growth. However, before following a specific diet you must ask yourself, what is the goal that I want to achieve? Mainly, this issue is directed at overweight people and they begin to train for a leaner, healthier and aesthetic body. If your goal is to lose those kilos of more cattle over the years and for this, you have decided to join the gym, you have taken the right step, now you only need to stay out of the way. To do this, you must understand that as a rookie, the gains of muscle mass you have will be incredible in the first few months and for this you do not need to ingest more calories than your body needs. Another of the myths that have more weight in the gym. Contrary to many people’s beliefs, a high number of repetitions will not help you define and if your instructor puts you into a routine in which you do up to 20 rises per set in each exercise for greater definition, it is better you start to look for another gym in which advise you people who are aware of these types of issues. If you are looking for muscle definition, ie lose fat, then you must undergo a low-calorie diet so that the body can use the accumulated fatty tissue to make the muscles begin to be more noticeable. What really happens with high repetition and low-weight lifting exercises is that it increases muscle endurance, so unless you’re looking to break your own marks, it does not make much sense to focus on increasing the number of movements per set. While in the world of mortals, where health becomes a background and it matters more to have a full stomach than a contented body, carbohydrates are the favorites of every meal, in the world of fitness have been so demonized that many prefer to avoid them at all costs, because they believe that with this they will accumulate fat simply by eating them. Well, to explain that we are going to understand the basic principle of changes in body weight; In essence, a caloric surplus will lead to the accumulation of fats, while a caloric deficit will lead to the elimination of them. Practically this means that if your maintenance calories are 2000 and you eat only 2000 calories from all the macronutrients, even if 80% are for carbohydrates, you will not gain fat, because you will be within your required energy limits. However, the important thing is not only to consume a certain number of calories, but also to distribute them properly, allowing a balanced consumption of the three macronutrients: carbohydrates, proteins and fats, since each of them are indispensable for all kinds of vital functions of the body as the creation of cells, tissues, production of hormones or even protection of vital organs of the body. Although it is not an exclusive myth within the fitness community, it is worth mentioning and is that for several years, the food industry has led us to believe that breakfast is the most important meal. This premise is based on the fact that when waking up and ingesting a good portion of food we will have enough energy to perform to the maximum in our day to day activities. Perhaps there may be some reason for it, however, we must bear in mind that every morning, the body rises with 100% energy due to the deep rest of the previous night. So why is breakfast not good? First of all, it is necessary to clarify that it is not that breakfast is bad for the body, but rather that it is not the most advisable thing. At first glance, this is because many of today’s breakfasts tend to be loaded with sugars from box cereals or the flours of typical pancakes or waffles that are also often accompanied with amounts immeasurable sweet condiments or juices that provide a much higher calorie value and simple carbohydrates that are not at all beneficial for the body. And beyond that, there are also the physiological effects, i.e., the reactions that occur at the biological level in the body, such as hormonal changes or energy production. These aspects come from the hand of intermittent fasting, a feeding style that we have been talking about in recent months and which consists of fasting periods of 12 to 16 or even 24 hours, which can help not only in the loss of fat, but also in the control of appetite, improvement in performance when it comes to training, etc.